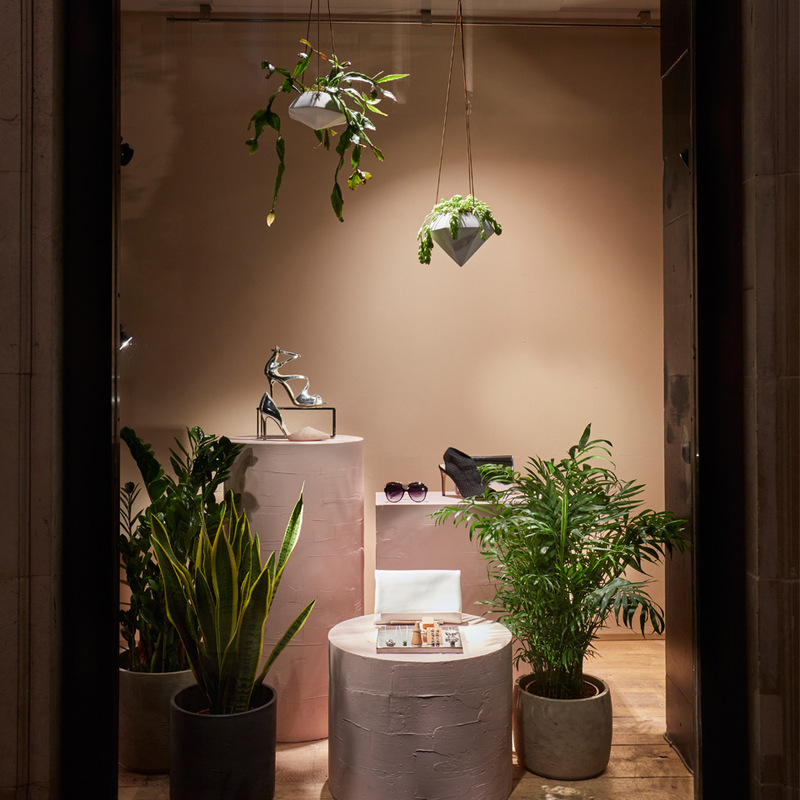 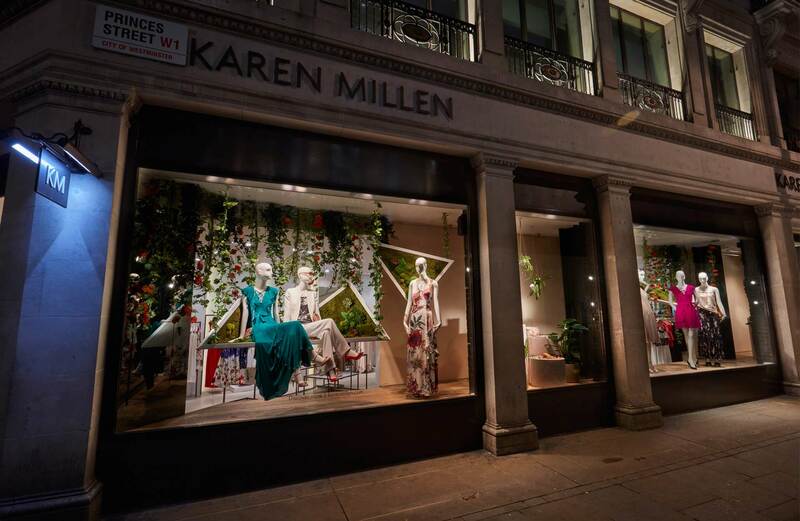 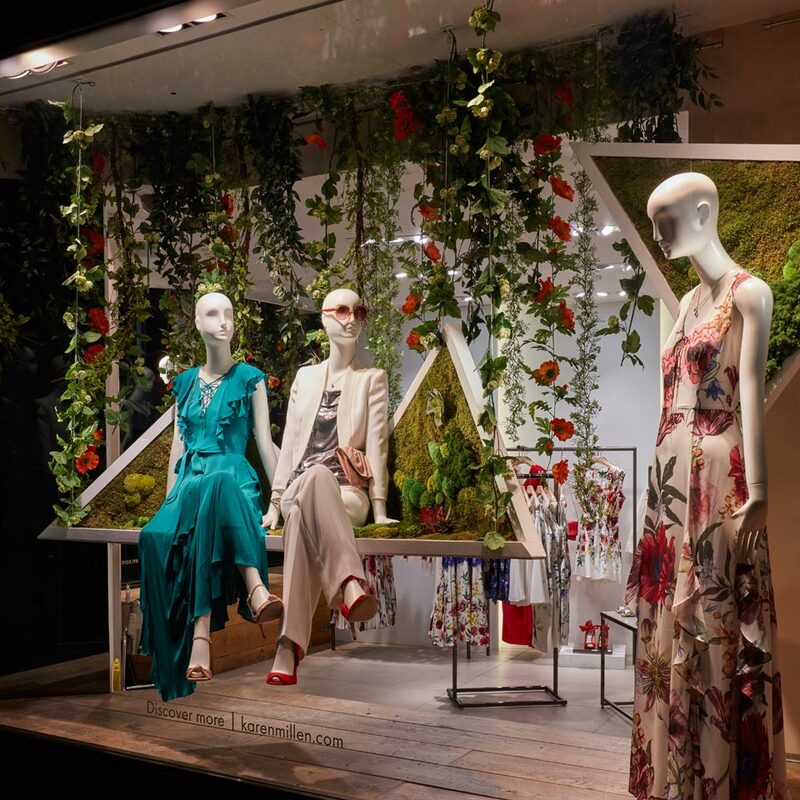 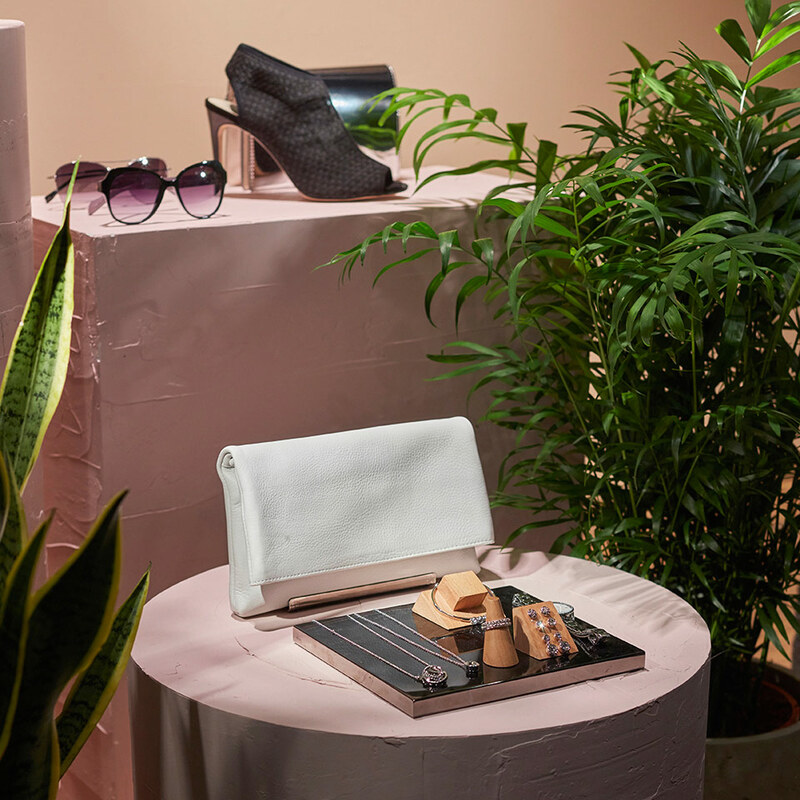 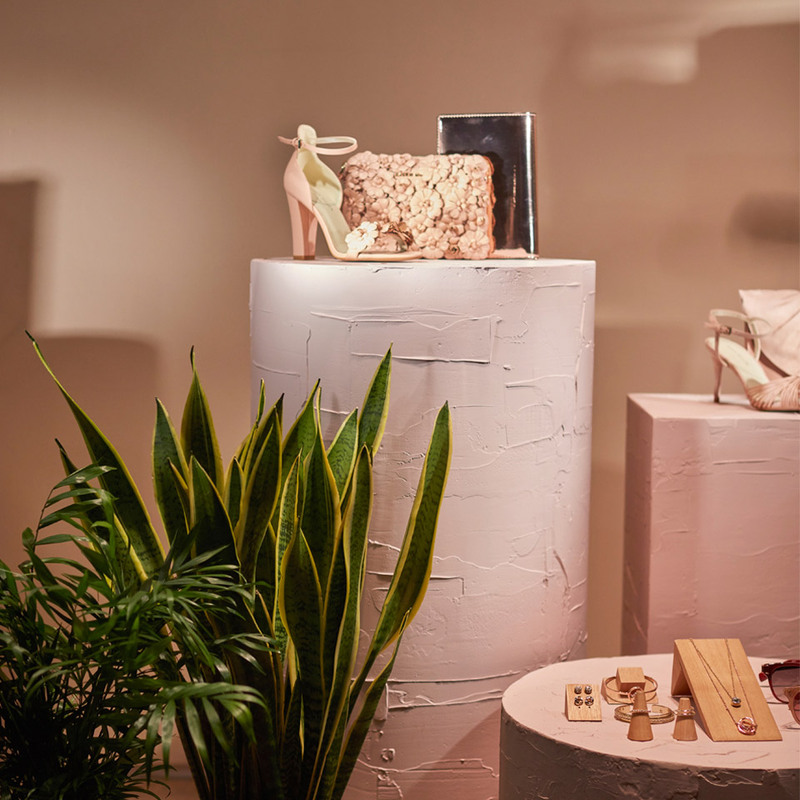 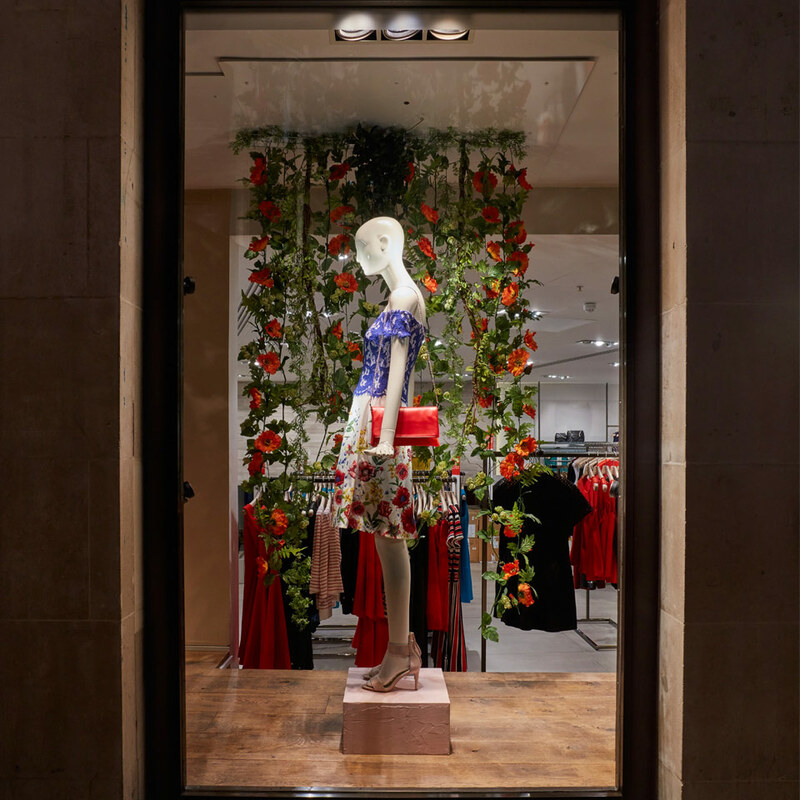 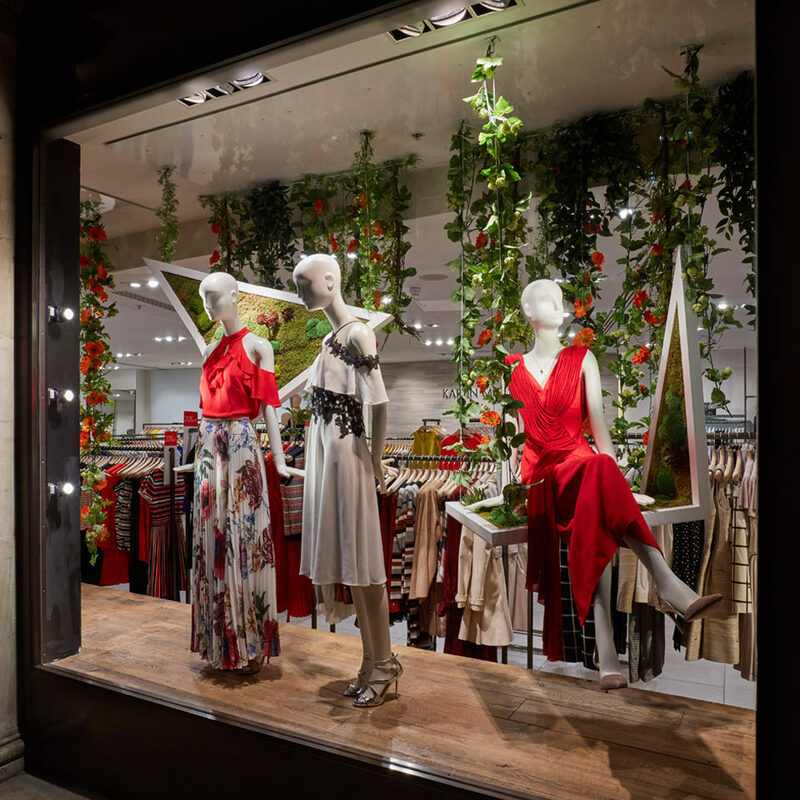 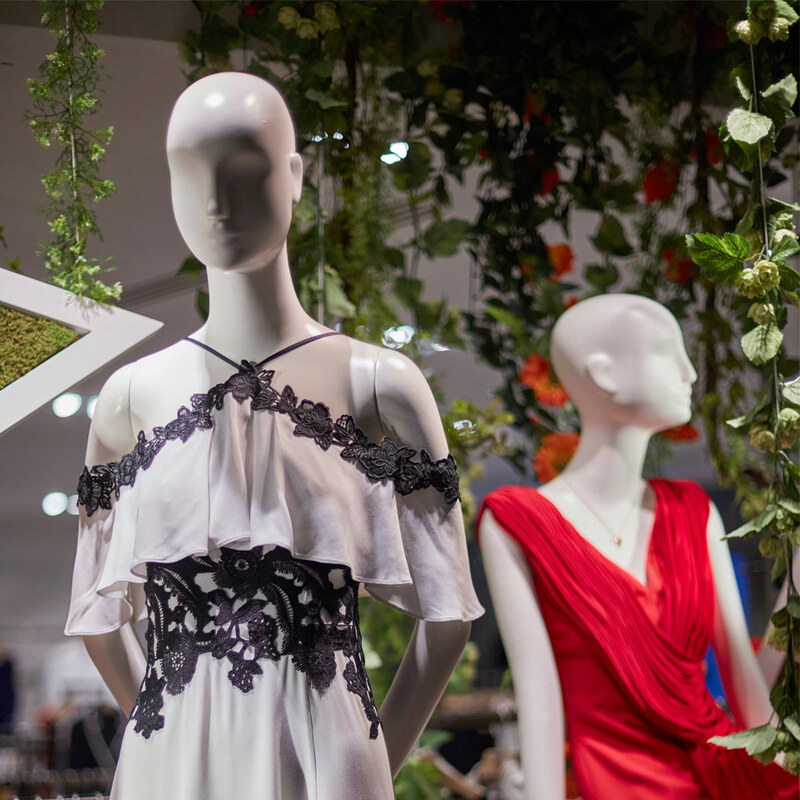 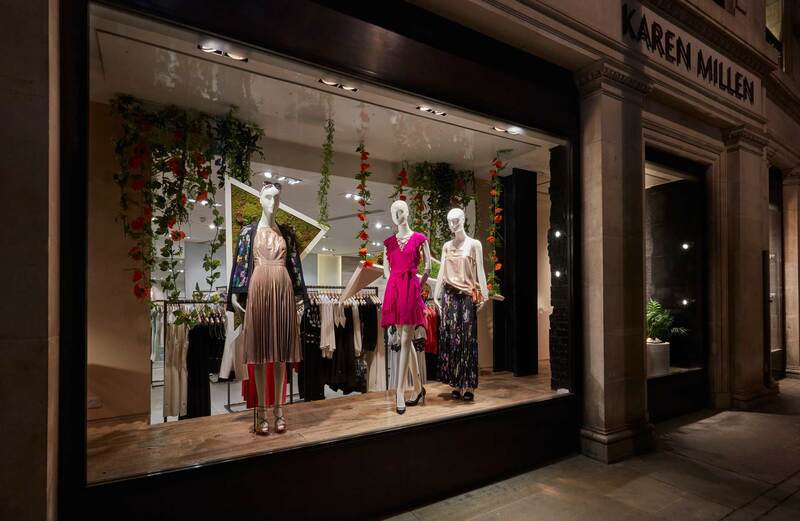 We are proud to have produced and installed the Karen Millen High Summer windows for their flagship stores located on Regent St London and 5th Avenue New York. 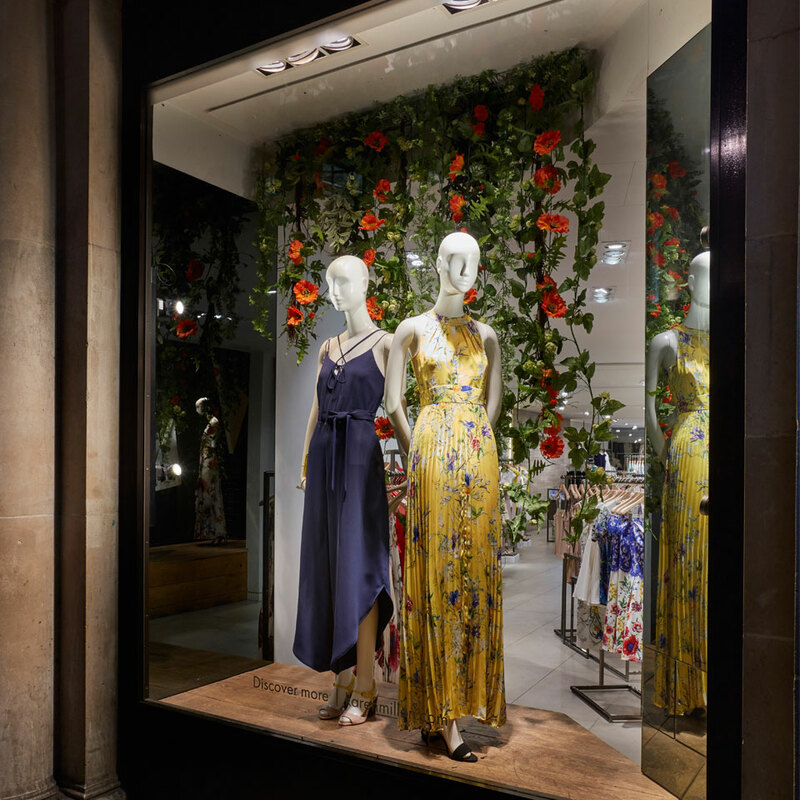 This beautiful scheme was inspired by the Botanical florals of quintessentially British gardens. 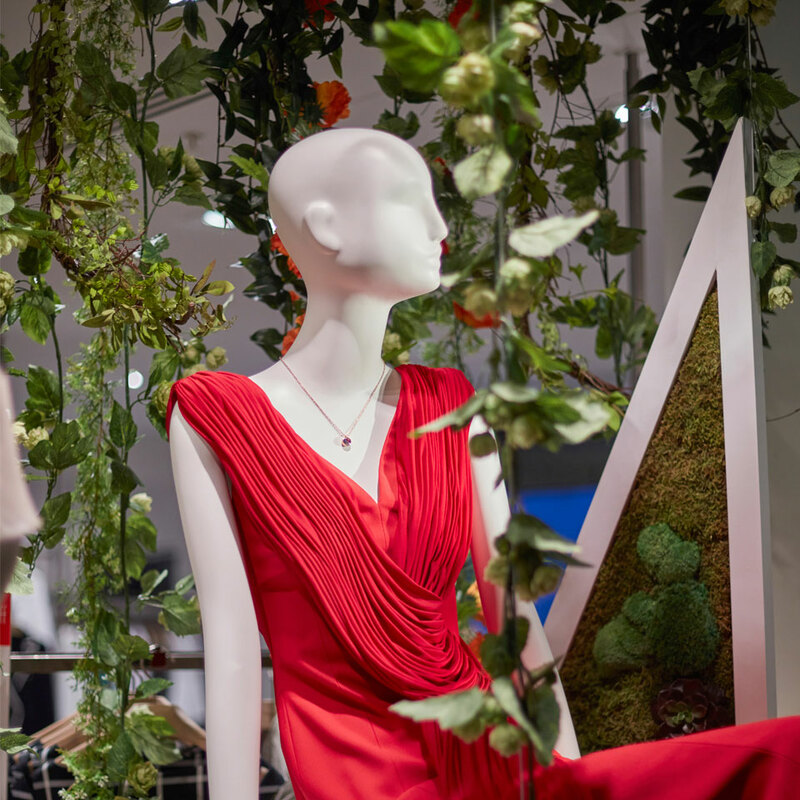 Celebrating the summer season with Lush vines and wild flowers, together with abstract floating moss beds for a romantic garden party.